Investor alert! This property has 3 structures built on it. 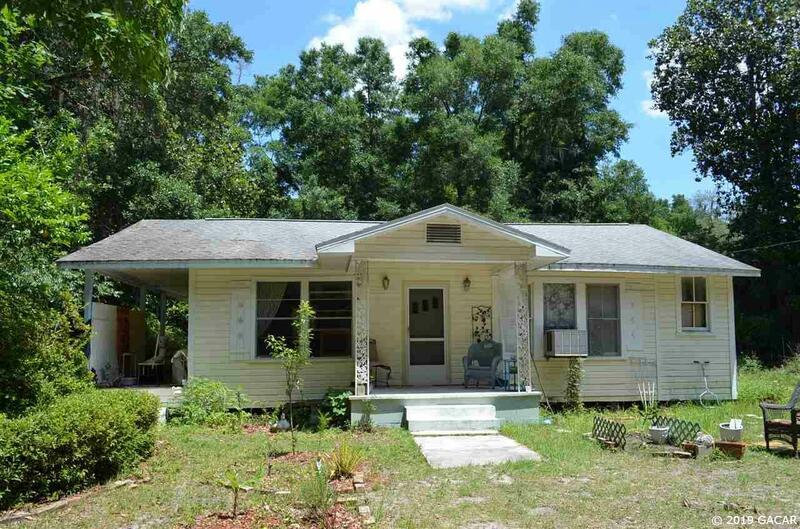 A 3BR/1BA house that is 1140 SQ FT. A Cottage that is a 2BR/ 1BA at 550 SQ FT. It also has a barn that is 800 SQ FT that was used as a General Store/Fruit Stand. The property is zoned commercial and could easily be turned into a AirBNB. Or, you could rent out on a monthly basis. Owner rented out the cottage for 800 a month. The property has over 120 trees, cypress, oak, pine and many fruit trees. It has an Artisan Well with crystal clear Spring water; no filter required on this well. This spring water could also be a source of income along with the abundance of trees. Property is beautiful, peaceful, private and full of wildlife as well. © 2019 Gainesville Alachua County AOR All rights reserved. Information deemed to be reliable but not guaranteed. The data relating to real estate for sale on this website comes in part from the Broker Reciprocitysm Program. Real estate listings held by brokerage firms other than Shultz Realty are marked with the BR logo and detailed information about them includes the name of the listing brokers. Listing broker has attempted to offer accurate data, but buyers are advised to confirm all items. Information last updated on 2019-04-20.